Top　»　Exhibitions　»　Mako Principal "REVENGE"
Bambinart Gallery is pleased to present "REVENGE", a solo show by Mako Principal. Mako Principal (Makopuri) has finished a postgraduate printmaking course at Tokyo University of the Arts. 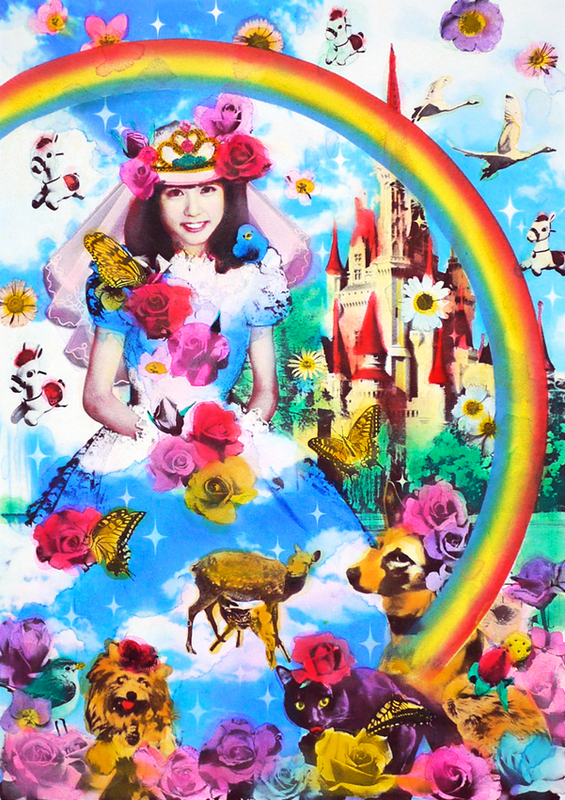 Since her enrollment at university, she has created works with the subject of the classical image of girls such as "KIRAKIRA;starry things," "Pink colour" and "Princess." She has evolved into multifaceted artist by performing music as a member of the idol group "NAMAKOPURI." The cuteness expressed in her works easily exceeds "the image of cutie girl" as seen from the male perspective and expresses a sexuality which cannot be taken lightly . Furthermore, we can see the major part of her creations rest on advanced liberal feminism. This can be seen in the artist team "TEAM Makopuri" and their exhibit "Whether Art or Not"(Tokyo Wander Site, 2011) . This is also on display at Makoto Aida's solo show "I'm sorry in geniuses" (Mori Art Museum, 2012), given his skill at expressing sexuality. "Cute revenge against a cold world. I'm working on painting with classic fairly tales as a theme. A "Heroine" who still has strong affection in these modern times. They may seem cute and you may easily think they are princesses who have nothing else to do except wait for "Prince Charming," but once we carefully read the story, they achieve their happiness with their own knowledge, strength and determination. This is precisely "Cute revenge". The best REVENGE is to always be dignified even in rough circumstances. You cannot quit. You cannot abandon hope and you must achieve happiness. I have inherited the strong spirits of these heroines and present these heroines as a model to girls who are fighting with this modern age in a newly reconstructed world. Please anticipate her new works solo show after about 3 years at Bambinart Gallery.